Hiro (Ryan Potter from “Senior Project”) is a bright young boy who graduated high school four years early but does not know what he wants to do next. His big brother, Tadashi (Daniel Henney from “One Night Surprise”), inspires him to enter a robotics competition. The winner gets a scholarship to the San Fransokyo Institute of Technology. And then, something really bad happens to Hiro’s brother, and Paige and I both had to cover our eyes. Hiro is really sad and wants to get back at the people who hurt his brother. To do that, he adds some modifications to Tadashi’s robot, Baymax (Scott Adsit from “St. Vincent”), and teams up with his brothers’ friends at the Institute to become six superheroes. 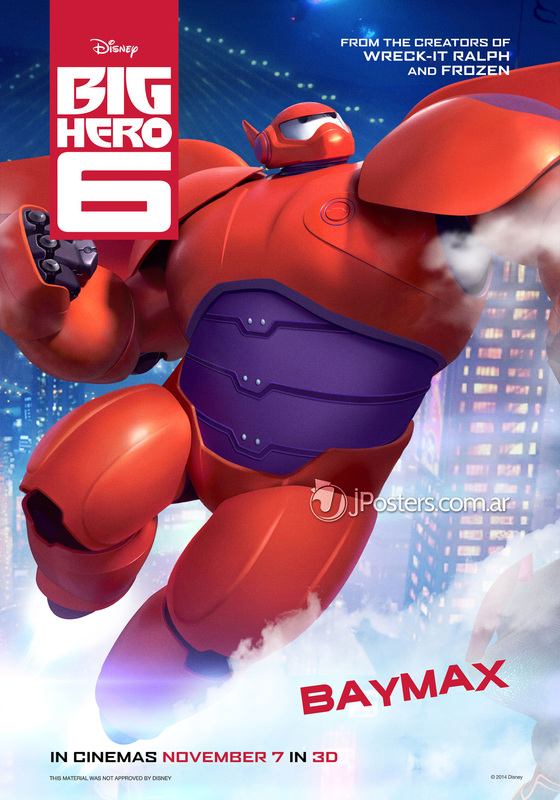 This is a coming of cartoon age story where Hiro needs all his talents and skills and life lessons to survive. He also finds out he can’t do it by himself, and it really helps to have an amazing robot. This movie did have a pretty heavy and serious plot for an animated feature, but I guess that’s what “P” in PG means. There are some great action scenes here with a great collection of misfit super-geeks. We saw this movie in 3D, and I thought that would be trouble for Paige, with the glasses and things coming out of the screen. I forgot that I am old, and she was born into a 3D world, while I am stuck in 2D with “Flat Stanley” and one rusty speaker hanging on the window. 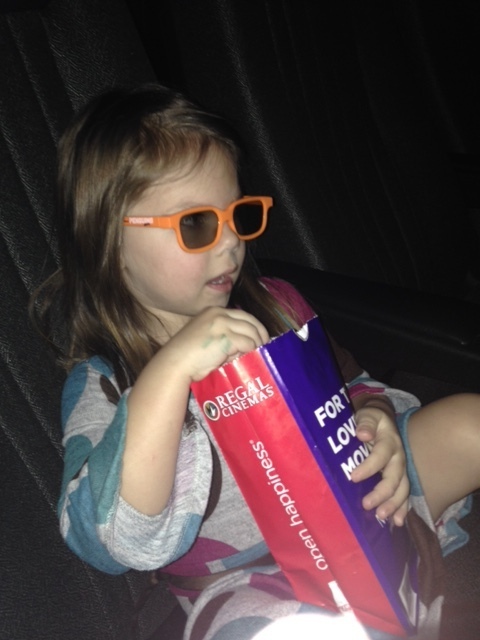 Paige loved the movie as much as the popcorn. For that reason, I must give this movie 4 stars out of 5. I suggest you see it with someone like Paige who can explain it to you.